If Peter Pan had a twin, and both ended up working in film, you’d have the Farrelly brothers. For much of their adult lives, the pair have helmed some of the silliest films in modern history, including There‘s Something About Mary, Shallow Hal and both Dumb and Dumber flicks. Now in his early sixties, older bro Peter has finally decided to go it alone, dumping both his brother and fart gags, for this attempt at more grown-up cinema. This will be the face I use in my box on Oscar night. It’s 1962 in New York City, and Tony ‘Lip’ Vallelonga (Viggo Mortensen) does what he can to put food on his family’s table. This occasionally means that he can be a little economic with the truth, but endeavours to get the job done. He finds himself out of work when the nightclub he worked at as a bouncer, is closed for renovations. Luckily for him, he hears that a Dr. Don Shirley (Mahershala Ali) has heard of him, and has invited him to interview for a position he has. Tony decides to attend, only to discover that Don isn’t a real doctor at all, but a supremely talented pianist, who is setting out on a two-month tour of the Deep South. Being that Don is African-American, visiting the South could prove difficult considering the outright racism that exists, so having a driver who can handle himself could be very useful, all things considered. Although it’s a long time away from his family, the money is attractive, so Tony agrees. So off the pair set, to a part of the world that, considering the colour of Don’s skin, is far from welcoming. 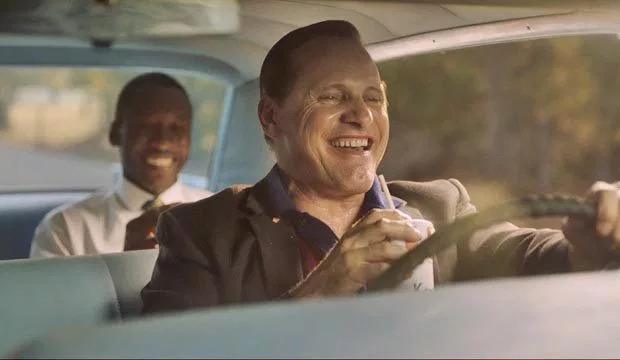 For Farrelly’s first grown-up film, which he’s also co-written, he’s essentially re-made Dumb and Dumber; Green Book is a road trip buddy flick, that brings the worlds of two very different characters together during testing times. In fairness, it’s a road well driven, making it a fairly predictable journey, offering very little in the way of originality on view. But, as is the case with all successful buddy road trip flicks, it’s the relationship between the two central characters that make it work. Mortensen may well be channelling De Niro throughout – a role that would have been made for him twenty years ago – but he carries it off with aplomb. It’s his interplay with Ali, who has to be said is having a fine old 2019, what with his starring role in the latest True Detective series and his well-deserved Oscar nomination for his performance here, that makes this film sparkle. The film is at its best when they share the screen, which they do a lot, thankfully, as we see their relationship develop, brimming with an undeniable warmth and charm. 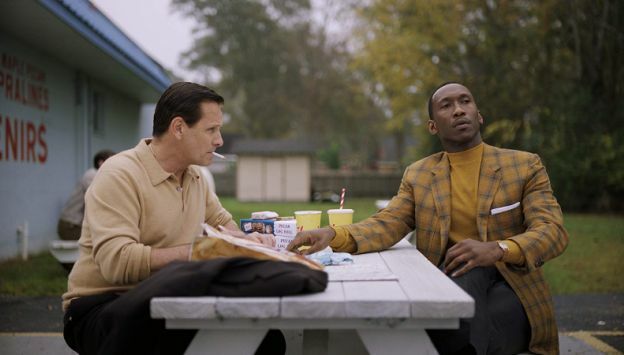 Admittedly Green Book is nothing new, but with a sensible Farrelly at the wheel, it’s a trip most definitely worth taking.